Join us for a one night only art making experience! Quinn will be producing a t-shirt that will be available only that night. We'll also have t-shirts available for a small contribution, for young artist to try their hand at making their own hand painted t-shirt. Quinn will be giving a brief talk on debate at ETHS, this is a perfect time for 8th graders who are going into ETHS to hear about the program! He'll answer questions about Afro-pessimism and critical race theory that he has been introduced to in debate at ETHS. They'll be a slide show with people and images that been influential to him. You'll be able to buy the t-shirt he's creating that night, place an order for his T-shirt #1, purchase a post card or make a donation to his fundraiser! We are pumped to host our first live music event at 1100 Florence with Evanston's favorite crooner, Nicholas Barron. 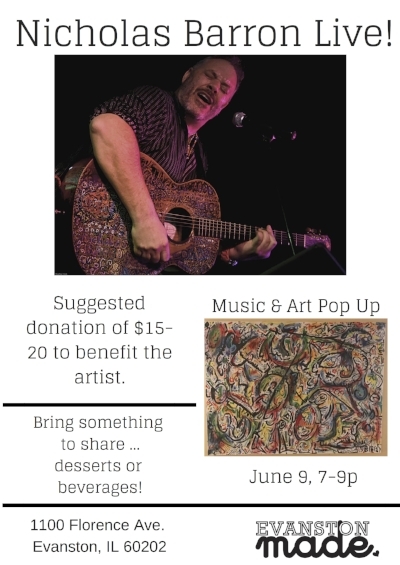 Join us 7-9p.m., admission is free, but we'll pass a hat asking for $15-$20 for the artist! The gallery walls will be filled with Barron's work, all for sale! And in the summer tradition of potlucks, we're asking that you bring desserts or beverages to share! 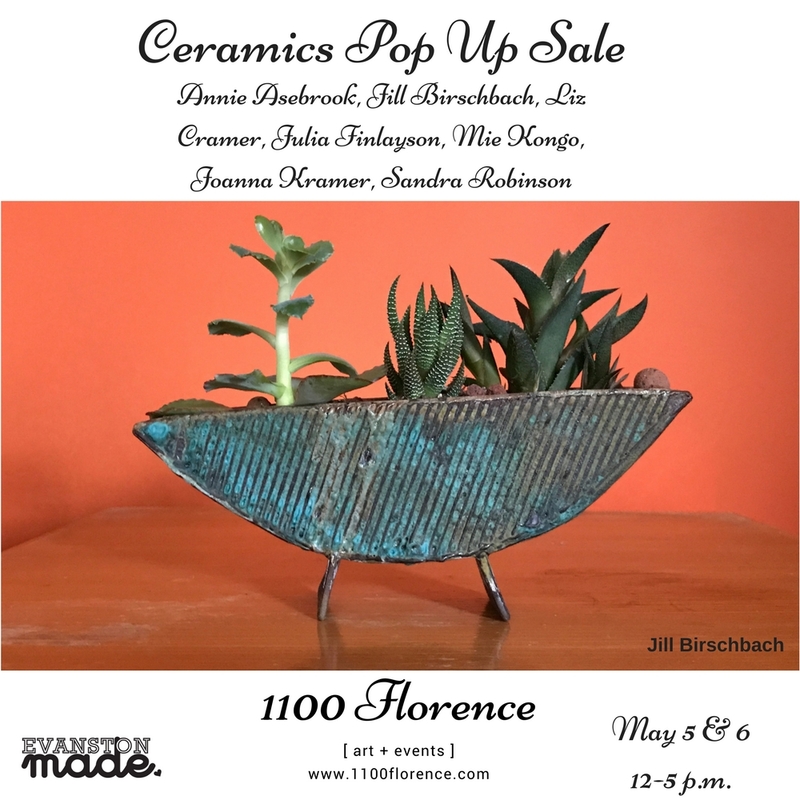 We are excited to host our Spring Pop Up, Women Who Work with Mud Ceramics Sale. Featured ceramicists include; Annie Asebrook, Jill Birschbach, Liz Cramer, Julia Finlayson, Mie Kongo, Joanna Kramer and Sandra Robinson. Shop Saturday and Sunday, 12-5 p.m., at 1100 Florence.